In the past few months, death has been prominent. Two of my cousins passed away. A dear family friend died, too. Another dear friend lost her beloved Scottie. And as is the case as we grow older, I started to wonder how much time I have left. I found out back in June that I had a small stroke--better than the alternative, a large monster stroke, mind you, but still unsettling. Especially given that strokes are one of our family curses. I started thinking about how suddenly it could happen. Or how I could end up like my mother, slowly slipping away over two or three years. Or maybe longer. Things made sense after that revelation--the memory lapses, the intermittent speech issues, the focus, the concentration, the ability to develop a story so easily. I stopped beating my head against the wall, trying to figure out why I was struggling to do what once came so easily. I learned to accept that there would be good days and bad days. Still better than the alternatives. I'm learning to appreciate the important things in life, which is why I'm not around so much these days. I still manage to keep up with everybody else's blogs, even if I haven't posted anything of my own in a while. We're prepared. 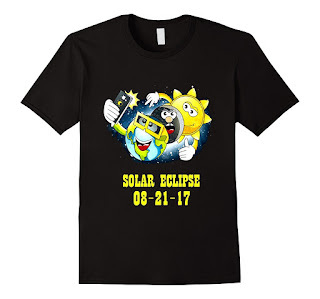 We have our eclipse glasses, verified to be the correct glasses, not the dangerous ripoffs that have been going around, and four t-shirts are on the way--two designs, so we each have one of each design. Cute, huh? If you've been here before, you know I love Minions! But now, Collin may not even be home for the Big Event. He got tired of being stuck in his bedroom on the phone for ten hours every day, and went back to his old job at IHOP. At least it's still close to home. He may have jinxed them, though. Shortly after he returned, the company that owns IHOP announced a number of their restaurants would close in the coming year. Then, last Saturday, he got to work to find his boss had been fired and left just before he arrived. I got tired of fighting with my baby-fine hair and last week, I got my head shaved (almost). I figured, why not? I always wear hats or caps everywhere but at home anyway. Who's going to see it? Then I got a notice informing me that it's time to renew my state ID. That means a new photo. A photo without a hat or a cap. No way. I'll just have to be late in renewing the ID! I used to like hats and caps but now I despise them. You should wear one of those shirts for the DMV photo. I love hats (it all started with Indiana Jones). Besides, wearing a hat means I don't have to do anything with my hair. I wear a baseball cap in the summer, more for protection than anything else. Toques in the winter. Bandannas when required. My hair is difficult and I'm terrible at styling, so whenever I had to do interviews, especially on TV, I'd wear a hat or a wig. I always wear a cap outdoors to (hopefully) prevent skin cancer. My dad had several skin cancers removed, so I figure better safe than sorry. Norma I think you would look cute in short hair... dye it pink ! I bought a neon blue wing, cheap on Amazon, I will wear it the next time I have my photo taken. I adore the last shirt ! I thought about doing that! I love those bold colors, and Walgreens did a funny TV ad featuring two older women who added purple streaks to their hair for their high school reunion. I found the first shirt on Facebook, and when Collin was trying to find the post to order them, he found the second one. I was a little worried--when Collin orders, if they don't have the right size, he'll take the next size--either way! It's fine if he goes with the larger size, but going the other way usually doesn't end well! Hamish and Watson will always be there with you, even though you can't see them. Just watch Winston, Merida and Oliver. Years ago, I noticed Sam behaving oddly sometimes. I watched him, and eventually, I realized it wasn't odd at all. He was simply interacting with someone I couldn't see. Animals perceive things we can't, from detecting cancer to sensing earthquakes in advance. Sending your goodie box next week. Should make you smile. I like hats too. I mainly wear them to keep the sun off my face (I despise glasses). This habit has spawned quite the hat collection. I say, dye your head like an Easter egg for the DMV photo! That's a good idea--I do sort of look like an Easter egg at the moment! 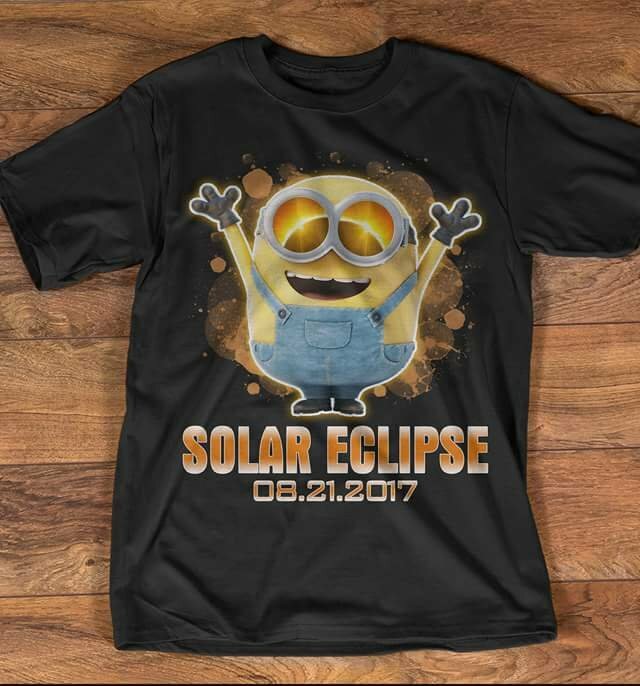 I wanted to go to the DMV in one of my eclipse t-shirts and eclipse glasses. Collin said they wouldn't find that funny. Hats AND glasses can be problematic. I have to wear glasses, and if the hair over my ears isn't long enough to tuck behind my ears or cropped really short,it sticks out. Hats off to a fellow hat lover! I love Aimee's color--but she's a lot younger than I am. When I was in my 30s, I used a burgundy haircolor. My agent said it suited me perfectly (not sure what she meant by that). Thanks. I hadn't seen either of them in years, and I really regret that. Sorry to hear about your loss. I think my mother dying of lung cancer when I was 12 was a big part of why I found vampires so interesting (because they never die). Oh, I hadn't even thought of t-shirts being out. I like the last one too. My husband is thinking of buying welding goggles to view it--probably cheaper than the glasses, now that I've heard the prices going up. I wear hats in summer when I garden, or I'm out walking, and when I drive the bus, to keep the glare out of my eyes. I vote you do something wild with your hair, too. A psychologist would say your conclusion regarding your interest in vampires is likely correct. When I lost my parents, I took a different direction. 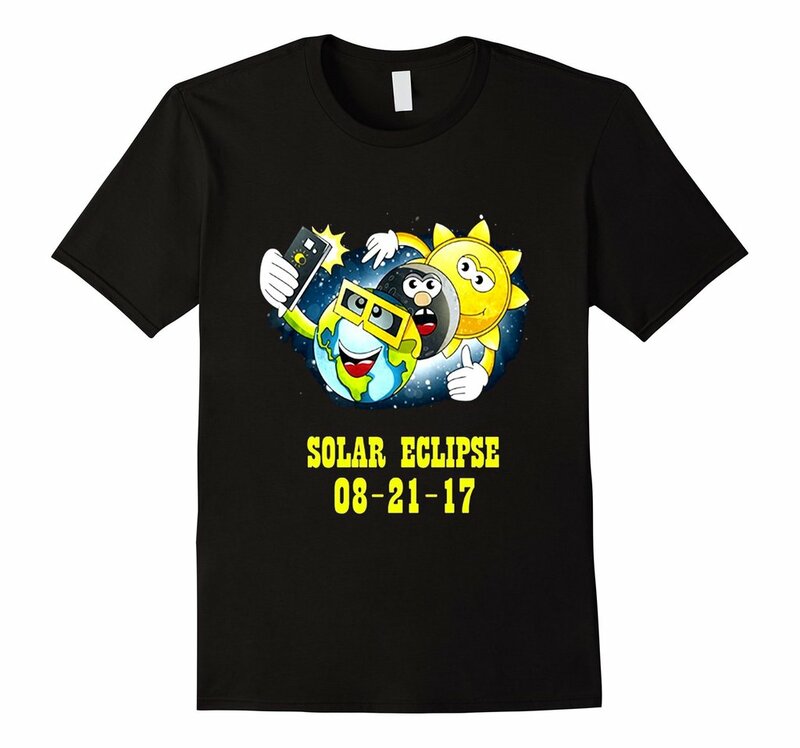 Eclipse T-shirts, hats, jewelry, you name it. Personally, I like the cookies--but they're too cute to eat. We bought Minion cookies last Christmas. Still haven't eaten them. Collin thinks I've already gone wild with it--the hair, I mean. He's going to be back here in a little while with a friend of ours, who will be the first person besides him and the stylist to see it. If she doesn't laugh or faint, I'm good! Oh, poor Norma! 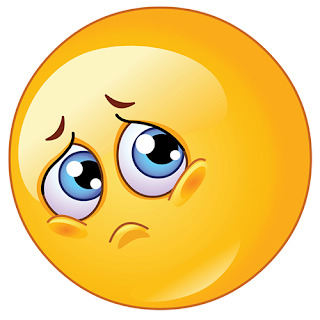 Deaths of friends and family always bring us down, I think. But knowing what's happening to you, with the strokes, is better than not knowing. I've had some forgetfulness and other symptoms but the doc says I'm fine. I wonder if she knows what she's talking about. 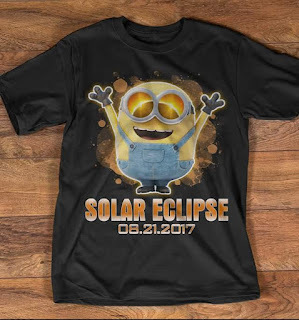 The eclipse is certainly going to be a big deal. We're on the periphery of the path but failed to get glasses so I guess we'll watch on TV. I've worn my hair short since I had chemo, and I like it a lot better than long hair. It's easy to wash, nothing to curl, run your hands over it and it's fixed! I'm with Parsnip: dye it pink! I'm starting to feel like I'm in the hair equivalent of Fight Club! Had I known sooner, I could have sent you two pair of eclipse glasses. We got four pair from Papa John's. The deal was two pair free with the purchase of a pan pizza, and we ordered two pan pizzas. I agree. I'll never go back to long hair! again. Where Were You When the Sun Went AWOL?